A delicious blend of premium tea from India with such aromatic spices as cardamom, cinnamon, cloves, ginger, and vanilla. Masala Chai simply means spiced tea. Chai is usually brewed with heated milk and generously sweetened. Our masala chai is truly delicious! 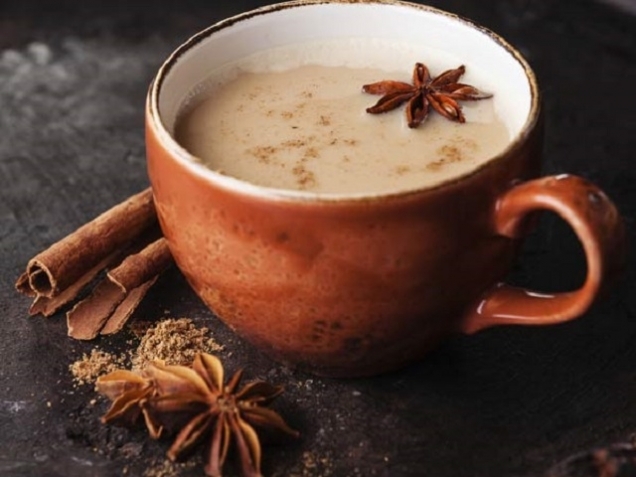 Recipe for making 2 cups of Chai : In a small-medium size pan bring 1 1/4 cup of milk and 2 heaping teaspoons of Masala Chai to a boil, when boiling add 1 or 3/4 cup of milk and 1-2 teaspoons of raw sugar; bring the mixture to a boil again. Let simmer on low for a couple of minutes then cool for a minute. Strain and Serve. Enjoy!